Paul’s words in Romans 8:28-39 are the most compelling on the subject of preservation anywhere in Scripture. I say this for two reasons. First, their purpose is to teach preservation. Second, this is the most extensive biblical passage teaching that God keeps his saints. In context, “all things” means even “present sufferings” (Romans 8:18). Those who love God, namely believers, should realize that God works all things, even their difficulties and pain, for their ultimate good. Paul tells us how: God has planned their greatest benefit, their final salvation (Romans 8:29-30). The apostle here begins the first of four arguments for why Christians are safe in God’s grace. He bases each argument on one of God’s qualities: God will preserve His saints because of His sovereignty (Romans 8:29-30), might (Romans 8:31-32), justice (Romans 8:33-34), and compassion (Romans 8:35-39). Paul begins verses 29–30 with the Greek word meaning for or because to explain how we know that God works all things for our ultimate benefit. It is because He has planned salvation, our highest good, from start to finish. Paul employs five verbs in the past tense to set forth God’s plan. God is the subject of each verb, and God’s people are the direct object of each verb. God foreknew, predestined, called, justified, and glorified believers. God foreknew His saints. Foreknow and foreknowledge have several meanings in the New Testament. They refer to God’s choosing Christ (Acts 2:23; 1 Peter 1:20) and to people knowing facts beforehand (Acts 26:5; 2 Peter 3:17). But whenever God is the one who foreknows and Christians are the ones He foreknows, foreknew and foreknowledge refer to God’s prior love for them (Romans 8:29; Romans 8:11:2; 1 Peter 1:2). For two reasons foreknew in Romans 8:29 does not mean that God knows facts beforehand, including who would believe in Christ. (Of course, God knows all facts, including these, but that is simply not what Romans 8:29 is talking about.) First, here God does not foreknow facts but people: “those God foreknew.” Second, here only some are foreknown. Paul would say that all were foreknown if He meant that God knew people’s responses to the gospel beforehand. But Paul says some, not all, are foreknown because the ones foreknown are the same people who are predestined, called, justified, and glorified. Plainly, not all human beings will be glorified. Therefore, in this text God foreknows some and not all people — that is, He loved them beforehand. Elsewhere Paul tells us how far beforehand — “before the foundation of the world” (Ephesians 1:4 ESV) and “before the ages began” (2 Timothy 1:9 ESV). The apostle highlights predestination more than the other four verbs in Romans 8:29-30. 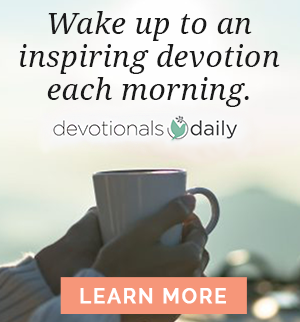 Notice that it is only this verb that Paul expands: we were “predestined to be conformed to the image of his Son, that He might be the firstborn among many brothers and sisters” (Romans 8:29). All who become God’s children by faith in His Son (John 1:12; Galatians 3:24) will be conformed to his character. This is a great encouragement for us who frequently struggle with temptation! Paul says, “And those He predestined, He also called” (Romans 8:30). He means those God chose for salvation He successfully summons to Christ in the gospel. God “calls” them by bringing them to believe in His Son. “And those He called, He also justified.” Those God summons to Christ, He declares righteous based on Christ’s saving death and resurrection. Paul’s next words concern God’s preservation of His people. He says, “Those He justified, He also glorified” (Romans 8:30). Remarkably, glorification, a future aspect of salvation, appears in the past tense like the other four verbs. Glorification is the act of God’s grace by which His resurrected people see Christ’s glory and are thereby transformed so they share that glory (Colossians 3:4; 2 Thessalonians 2:14; 1 Peter 5:1). 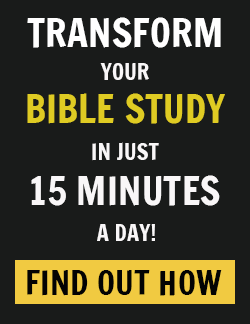 Why does Paul put future glorification in the past tense? “Those He justified, He also glorified.” He does so to present all five actions in the same way, as accomplished realities. Thomas Schreiner explains, “What is envisioned is the eschatological completion of God’s work on behalf of believers that began before history, and the aorist signifies the certainty that what God has begun He will finish.”2 We who know Christ and fight against sin now will one day fight no more. We will be glorified and in turn will glorify God for such a great salvation. No one who trusts Christ for redemption will fail to be saved. Our sovereign heavenly Father will keep every believer safe in his Son for final glorification. See my Election and Free Will, Explorations in Biblical Theology (Phillipsburg, NJ: P&R, 2007). Thomas R. Schreiner, Romans, Baker Exegetical Commentary on the New Testament (Grand Rapids: Baker, 1998), 454. 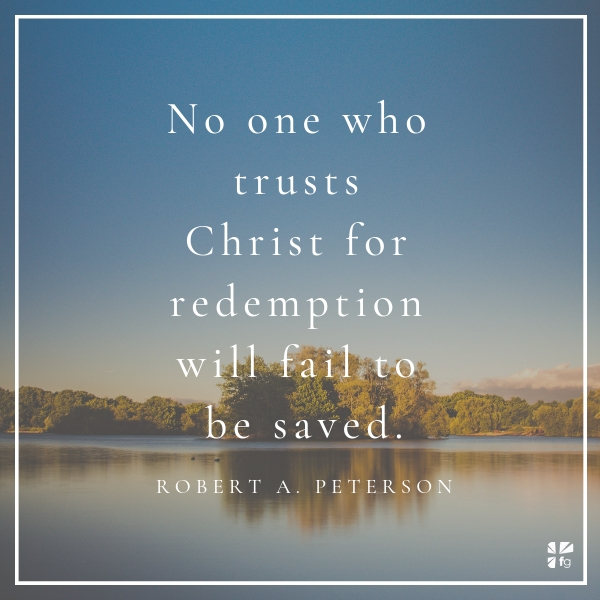 Excerpted with permission from The Assurance of Salvation by Robert A. Peterson, copyright Robert A. Peterson. Robert A. Peterson is Professor of Systematic Theology at Covenant Theological Seminary in St. Louis, Missouri. 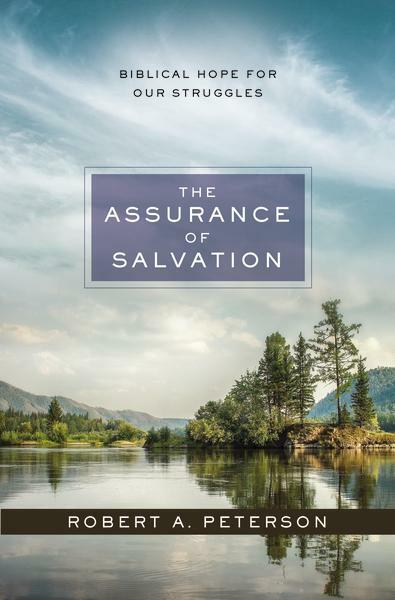 He is author or editor of twenty books, including Salvation Accomplished by the Son: The Work of Christ (Crossway, 2012), Our Secure Salvation: Preservation and Apostasy (P&R Publishing, 2009), and, coedited with Christopher Morgan, Hell Under Fire (Zondervan, 2004).